1 A capsule wardrobe is a perfect way to create a more streamlined life. 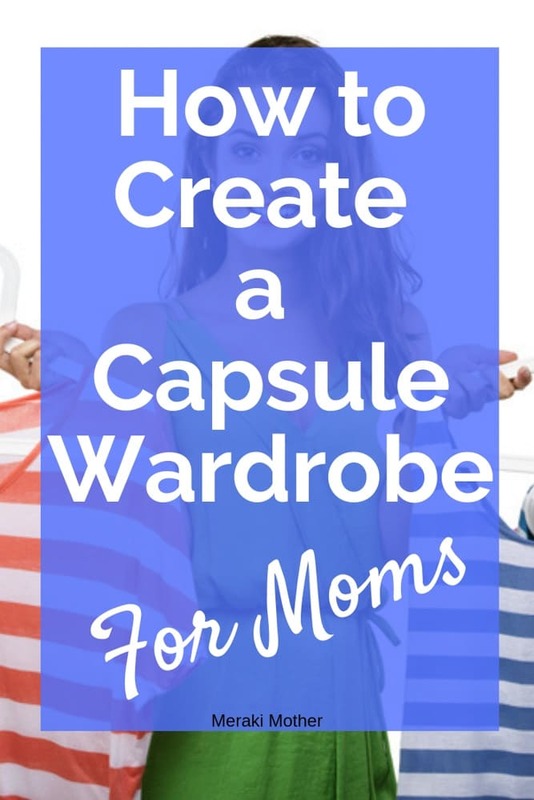 Find out how to create a capsule wardrobe and why you need one! 2.1 What is a Capsule Wardrobe? 2.2 Why You Should Use a Capsule Wardrobe? A capsule wardrobe is a perfect way to create a more streamlined life. 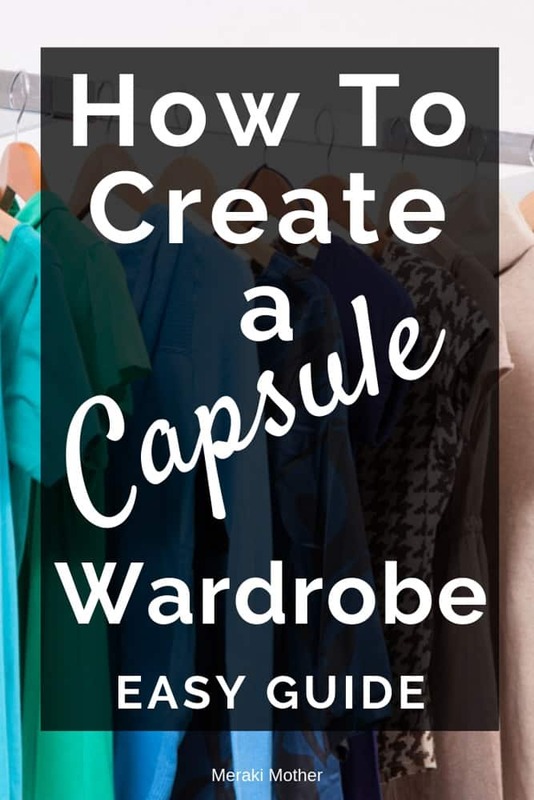 Find out how to create a capsule wardrobe and why you need one! A capsule wardrobe is something that’s not a very common concept yet. I’ve written about minimalism before and how beneficial it can be. The concept of a capsule wardrobe is a minimalist idea and not some crazy fashion trend the millennial generation drummed up. The capsule wardrobe is actually not a new concept, since it was coined back in the 1970’s. However, it hasn’t largely been utilized until recently when minimalism became a largely adopted lifestyle among our current society. It’s a great way to live minimally and keep away from spending too much money on clothing and shopping. A capsule wardrobe is a set few pieces of clothing that always remain in style. 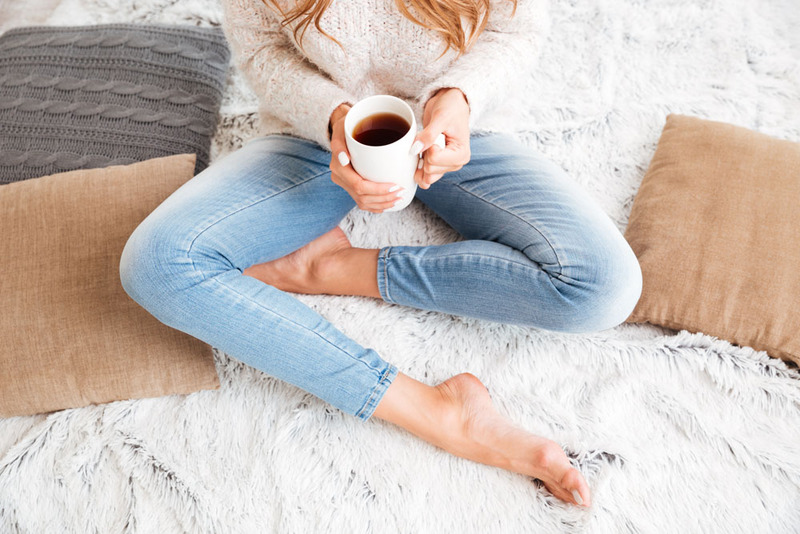 Blue jeans, for example, are something that always stays in style, they match just about any top, and work well for a daily outfit for the majority of social situations. They make the perfect wardrobe staples. A capsule wardrobe is basically essential pieces that can go with any seasonal articles of clothing. Many of us, without even knowing, usually already have somewhat of a capsule wardrobe. I’m sure I’m not the only one who has those few pieces of clothing I wear on a daily or weekly basis. Then, there are those other clothes that just sit in the dresser or closet and maybe get worn once or twice a year. The concept of a capsule wardrobe is removing those nonessential articles of clothing and only keeping the essential pieces that you already wear often. Why You Should Use a Capsule Wardrobe? 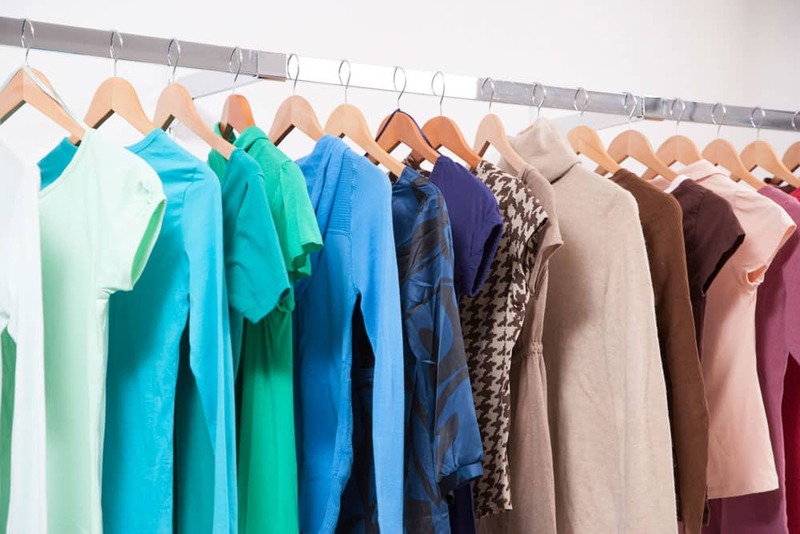 There can be many various personal reasons why a person may want to keep a capsule wardrobe. However, the overall, shared and agreed upon, common reasons are that it saves time, money, and space. Another popular reason is you may currently live in a home with a small wardrobe. All those clothes that just sit there year after year can take up a lot of space unnecessarily. All of us could use more storage space. You would be surprised just how much room unused clothes and shoes can take up for no reason. Removing these will give you more room to work with and allow you to even live in a smaller space, comfortably, if desired. Having timeless pieces that can be used over and over again are worth the investment. If taken care of, these clothes can last many years, allowing you to avoid having to shop all the time to continuously pad fashion changes and desires. At first, it may not feel like you’re saving money because you may need to spend money on more timeless pieces to build your capsule wardrobe. However, down the road is where we’re looking since over time, it will be well worth the effort. Having pieces that work for every occasion and can be used time and again while still being in fashion is one of the best ways to live minimally while still staying pertinent in society. Let’s not mention how long it takes to search for clothes when we go shopping. It can take multiple stores to find something we like and will finally buy. Not to mention, the time it takes to plan outfits, do laundry for all those clothes, etc. can take up the better part of our evening before bed or right when we get up to start the day. This time can be saved and avoided with a capsule wardrobe since having an outfit is easy since you can memorize what you have with little effort. It saves money on laundry, water, detergent, etc. as well which is a pretty big perk in my book. You can find even more benefits of using a capsule wardrobe here. Building a capsule wardrobe will feel strange and maybe like you’re splurging at first. Remember, this is creating something that’s going to minimize your life in multiple ways and is worth the effort. Your first step is to clean out your closet. Once you get started going through your closet, you’ll easily realize which clothes fall into your naturally occurring capsule wardrobe and which don’t. This usually makes it easier to narrow down what needs to go and what needs to stay. Make a few piles, a love it pile, a questionable pile (clothes you question wearing and aren’t head over heels for), definitely getting rid of it pile, and a seasonal pile. If you need more help with this check out our post on decluttering with the Mari Kondo method. The love it pile can be placed back in the wardrobe and dresser. Next, your maybe clothes, be honest with yourself and get rid of the ones you literally never wear and most likely won’t wear in the future. For the pieces that are in the maybe pile that you truly can’t get rid of, store them away and keep them for the future, just don’t have them in your closet and in your way. With the “get rid of it” pile…get rid of that stuff! Sell it, donate it, whatever you like, just get it out of there. For the seasonal pile, keep what’s pertinent for the current season and store the rest and swap these pieces out as the seasons change. 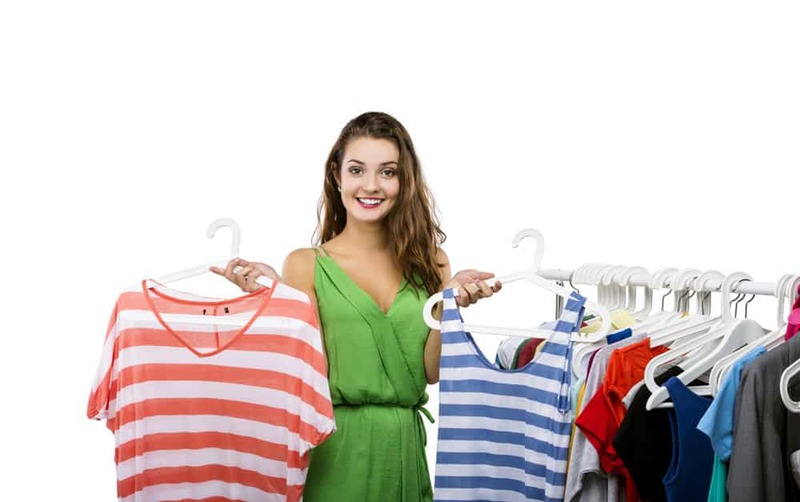 Now that you have your closet and dresser narrowed down, don’t shop at all for a period of time. Live day to day using that natural wardrobe capsule you already had. Without shopping or adding to it, see how your day to day living goes with the removal of the random other articles of clothing. After you’ve gone a while, you’ll really be able to hone in what you may need to go buy and add to your capsule wardrobe essentials. Only go with essentials however, it’s important that you make it your own and do it how you feel comfortable. A great tip is to take a capsule wardrobe list with you so you don’t buy items you don’t need. A capsule wardrobe can be fun and is definitely practical. Some people like to have a capsule wardrobe for the weekends and then another work capsule wardrobe. You can also make seasonal collections like a summer capsule wardrobe and spring capsule wardrobe. You can setup your capsule wardrobe to perfectly fit your lifestyle and make it easier on yourself. The biggest point to a capsule wardrobe is to minimize your life, save money, save time, and save space. Fast and Easy Hairstyles for Moms.